The commission is to generate a Mixed uses building in order to improve quality to the commercial and residential neighborhood named "Aldo Moro" of the city. 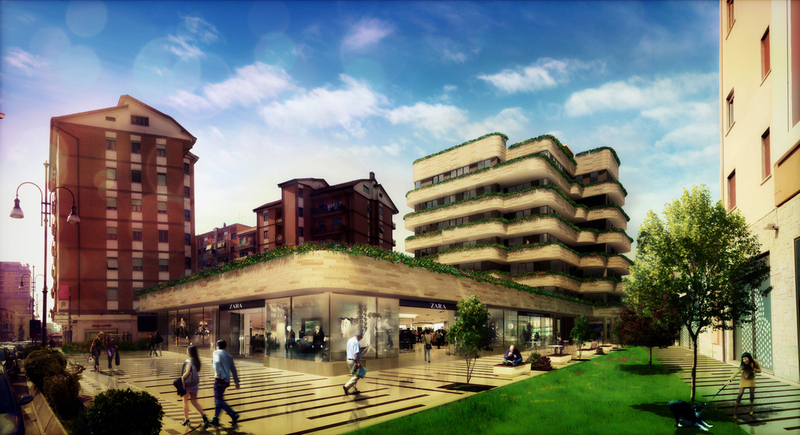 The building is an hub of social spaces, commercial and residential areas with terraces and gardens. the residential dwellings are not on the front street, nábito creates a filter to generate a square with an interior patio as a gate of entrance and to protect the intimacy and interact with the commercial spaces on each side.